Linda has experience in national and international markets, working with business development. Education background: ITA (Instituto Tecnologico de Aeronautica) – Computer Science, Business Administration – Instituto Mauá de Tecnologia, Innovation Management – Insper – Brazil and Sustainability Leadership – University of Cambridge. She has professional experience in large companies as IBM, Villares/Hitachi, Banco Nacional/Unibanco, Banco ABN AMRO REAL and Banco Santander. In the beginning of her career, she was a technical solution professional focused on computer´s microchip software development with application in critical process. In 2002, she was in charge of development of new business including sustainability as strategy. 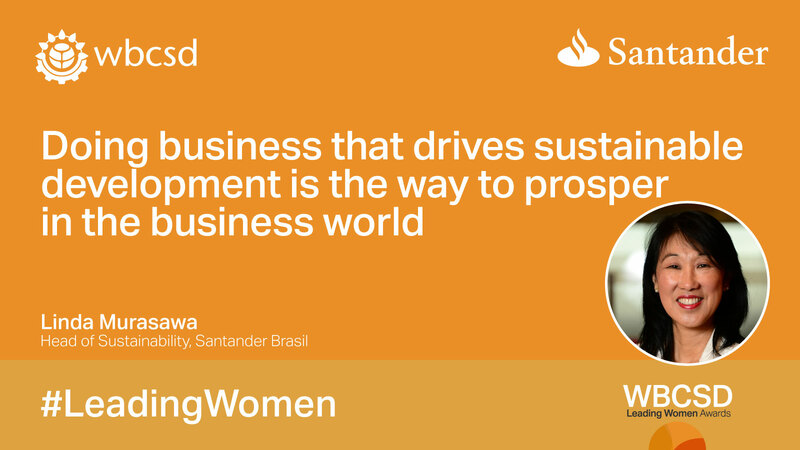 Responsible for ESG (Environment, Social and Governance) Financing for retail and corporate customers in Banco Real, currently she is Head of Sustainability – Santander Brazil. She is the Director of the Sustainability Committee in the FEBRABAN – Brazilian Banks Federation, and she is a member in the following Committees: Santander Asset Management Ethical Funds, Brazil American Chamber – Sustainability Committee and Brazil Spain Consulate Sustainability Committee. In 2017 she was invited to contribute as a counselor for Climate Lab Innovation – Brazil / EUA and Brazilian Govern Program for Low Carbon Agriculture.